At Plumbers Castleknock we specialize in 24 hour emergency plumbing services and can be with you in under an hour for all those unforeseen problems. Our team are fully qualified and R.G.I. certified. All of our work is completed in a professional manner. All of our staff are fully insured to the tune of €1.3 million and all of the work we carry out comes under the “plumber Castleknock” parts and labor guarantee, this gives our clients extra peace of mind. 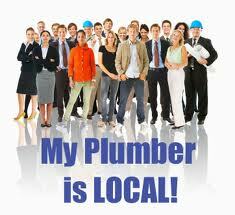 We are available 24 hours a day 365 days a year for all types of general plumbing works. Our Castleknock plumbers cover all of the everyday plumbing services; leaks, burst pipes, taps, cold water filtering, tanks and cylinders, service and maintenance contracts. We also undertake all major works. We complete Bathroom renovations, drain unblocking, boiler replacement and servicing. The list is extensive. If you don’t see it here, you can still guarantee we can do it. No job is too big or too small for our team. Open and honest prices from Plumbers Castleknock. We pride ourselves on operating our business as openly as possible. We ensure that we always offer our clients the best possible price and plumbing services available. Our honest approach has been the foundations upon which our great reputation has been built over the years we have been trading. This is because we do not believe in any sort of hidden charges or add ons. At Plumbers Castleknock, we do not charge for call outs. We are happy to offer free advice and give you a free no obligation quote. Call 01-6874850 today to speak to one of our team today. When your in need of urgent help, remember your local plumbing firm in Castleknock. We can be your one stop shop for all your needs.